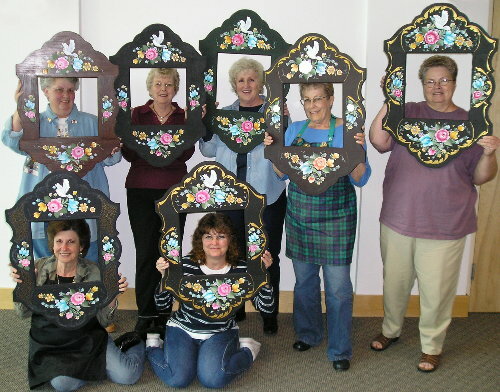 A great group of ladies from the The Golden Spike Chapter in beautiful Utah gathered to paint the Black Forest Mirror Frame and the Austrian Double-Scalloped Clock. We had fun and just about finished both projects as well! 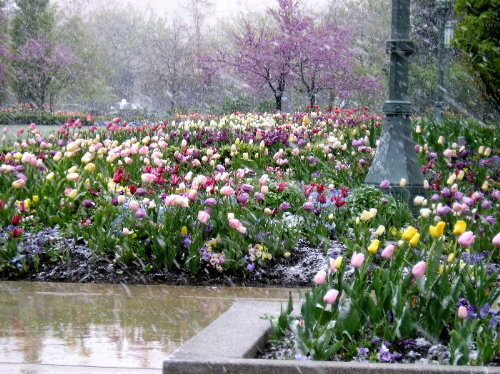 When I arrived, snow was falling on the lovely tulips around Temple Square creating a beautiful impressionist photo. And the view of the Wasatch mountain range from our classroom building was breathtaking! 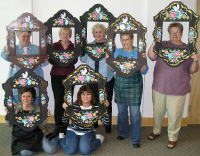 Thank you, ladies, for working so hard and creating beautiful projects! The weather was wonderful in east Texas (that looks just like Virginia!) 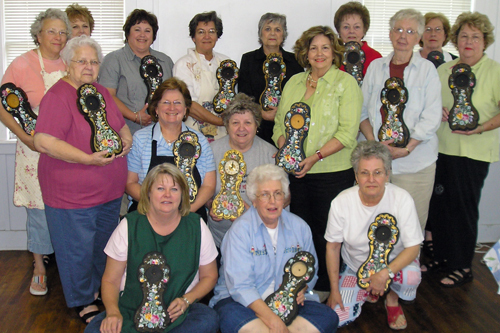 as the Texas Tolers met in New London to paint, eat and have fun! 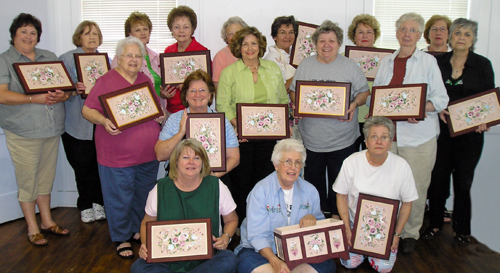 They were a wonderful group of ladies who worked very hard to complete their projects. 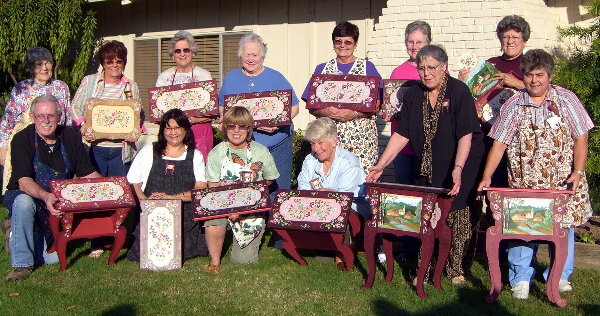 Almost everyone finished the Austrian Double-Scalloped Clock and most were very close to finishing the Bavarian Bouquet Chest. Add to that the great meals - and the best BBQ ribs EVER - and a wonderful time was had by all! Thank you , ladies, for making this a very memorable seminar. 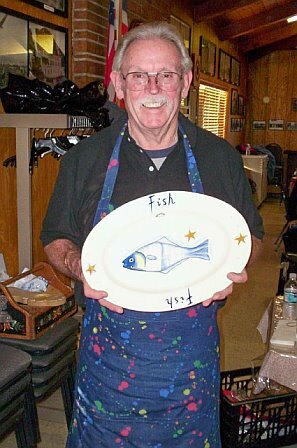 Ask Carl about the meaning of this...! 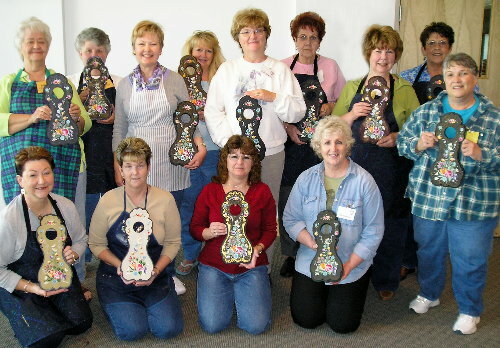 It was wonderful to teach once again for The Craft Palace in the beautiful area just north of Napa Valley. This time of year the grape vines were filled with magnificent autumn color! Hosts Jeanie and Ernie are the BEST. 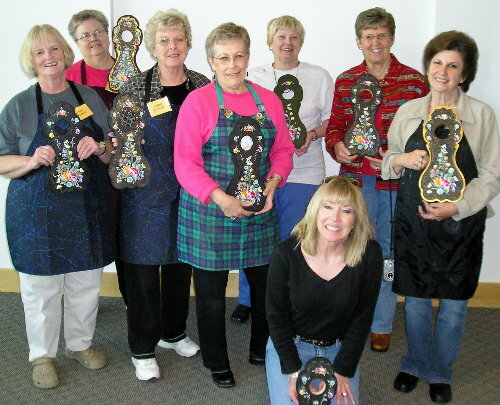 They took care of all the seminar particulars and student needs as well as ran a "bed and breakfast" for many of the students, cooked and served all lunches and some dinners - and Jeanie painted several projects during the seminar as well! I always love visiting with folks that have attended my seminars for years and it was great to see some new faces in the group as well. Everyone worked REALLY HARD on a large involved piece and finished the seminar with, hopefully, not too much left to paint at home. Thank you all SO MUCH for attending my seminars over the years and I hope to see you again one of these days. 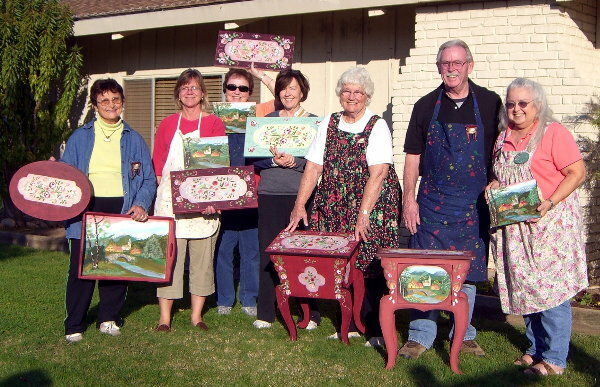 Just be sure to FINISH YOUR TABLE - and email me photos to prove it!